PaSsu Diary : Mebar Tsho: Really a Burning Lake? After I heard the history of Terton Sherab Mebar I found the attribution of origin of Mebar Tsho’s name to Terton Pema Lingpa not so convincing. 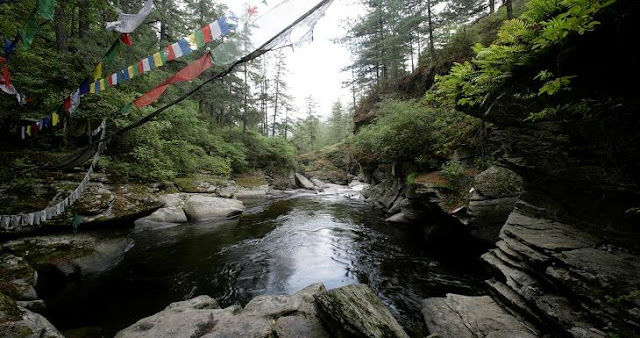 The popular narrative has it that after Pema Lingpa reappeared from the river with the treasures and the butter lamp still burning, the portion of river came to be known as Mebar Tsho, meaning burning lake because of the burning lamp. About two centuries before Terton Pema Lingpa performed the supernatural act to prove to the skeptics of his time, Terton Sherab Mebar had to do the same in the very river holding a butter lamp to prove to the suspicious ruler of Bumthang then. Now is it a coincidence that the Terton and Lake both have a ‘Mebar’ in their names? If the name of the lake originated from Pema Lingpa’s time, then why wasn’t it ‘Marme Tsho’ (Butter Lamp Lake)? Or why not ‘Terma Tsho’ (Hidden Treasure Lake)? Or ‘Pema Tsho’? Why did it have to be Mebar Tsho when the lake hadn’t burned in any sense? Historian Karma Phuntsho, in his book History of Bhutan, says Terton Sherab Mebar “is perhaps remembered more for his failures than successes.” His failure began in Bumthang, through Pasakha to Nobtshona Patra in Haa (Read about this incidences). Therefore he is not in the good book of history and perhaps that’s how his association with Mebar Tsho was unacknowledged, and worse given it to the more popular figure in history. Discussing about Mebar Tsho, it’s hard to forget the recent incident where a French tourist and his guide lost their lives. The tourist slipped into the lake accidentally but the guide jumped intentionally to rescue his guest who safety was his priority. Even though the rescue failed and he had to pay with his own life, his bravery and selflessness in performing his duty will be remembered by time. The highest form of tribute we can pay to brave young man is never let another incident happen. But unfortunately, going by the record nine lives were lost in the lake in recent times and still no safety measures were put in place to prevent further accidents. Some people are even talking about closing down Mebar Tsho to tourist, as if putting in safety measure is so difficult. After the incident when concerned authorities were playing blame game and counting excuses I was wondering how a presence of a throw-rope and ring buoy could have saved the lives of both the tourist and the guide. It will only cost less than Nu.4000. While authorities are still designing elaborate safety infrastructure that would take ages I would like to urge them to keep those two simple lifeguard equipment handy at the lake, for that matter even at the swimming pools and other water bodies where human activities happen. Interesting article. I often heard of swimming pools being equipped with safety floats and throw ropes on stand-by beside the pools yet drowning cases still occurred. Sometimes things were fated to happen and that's how everything happens for a reason. This is not a swimming pool and no person is supposed to go close to the lake. This lake is considered sacred place in Bhutan. However, as pointed out by the author, it is good to have such life saving things shud have been in place as some people are not careful in spite of notice already displayed. Hi. Thanks for pointing out about this lake. I understood as it was well written by the author. I was referring to the blame game as the same thing happened in my country at the pools which were well equipped with all the safety measures. 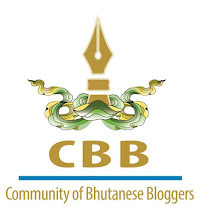 Bhutan is very interesting and I do wish to visit this country someday. Passu the great. Very innovative and I prefer your suggestions which would help in saving the lives of so many people hereafter. The answer is obvious. Because these safety devices will constantly get stolen/vandalised. I like your interpretation and sounds very logical, too. Keep blogging, buddy! Better to cost for safety measures than to cost life. There is quite a logic in your suggestions. I too was waiting for suitable platform to share my concern on Mebar Tsho. 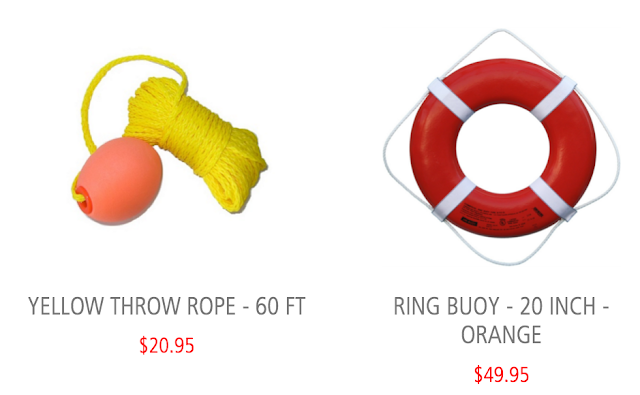 I even didn't think of throw rope and ring buoy, but its a innovative idea. What i was exactly about to share was life jacket!!! This is not a telebrand which comes on advertisement but not available at market. Life jacket would be most suitable for such circumstances, people at Gelephu uses such kind while ferrying across Maokhola River. If it is made madatory for all the tourist, guides and visitors to wear life jacket during lake watching, i feel it will save the life in case of accidental fall. I too visited this lake in the year 2012 while returning back from Sherubtse College after completion of my Degree Program la. I really like Passu Diary!! !